Hypertext Preprocessor which is commonly known as PHP, is a popular open source general-purpose scripting language designatedly suitable for web development and can be embedded into HTML. PHP is fast, flexible and pragmatic and is used from your blog to the most famous websites in the world. Why Choose PHP For Your Project? The top 6 PHP frameworks. It helps you develop web apps that are complex, quick and reliable. There are various PHP frameworks to select from but majorly it depends upon your project requirement, app feature, and functionalities, development timeframes, etc. Over and above, PHP frameworks enhance the responsiveness of the websites and add robust performance so that business can fulfill their requirements. Being a top mobile app development company we have listed following are the trendiest PHP frameworks. 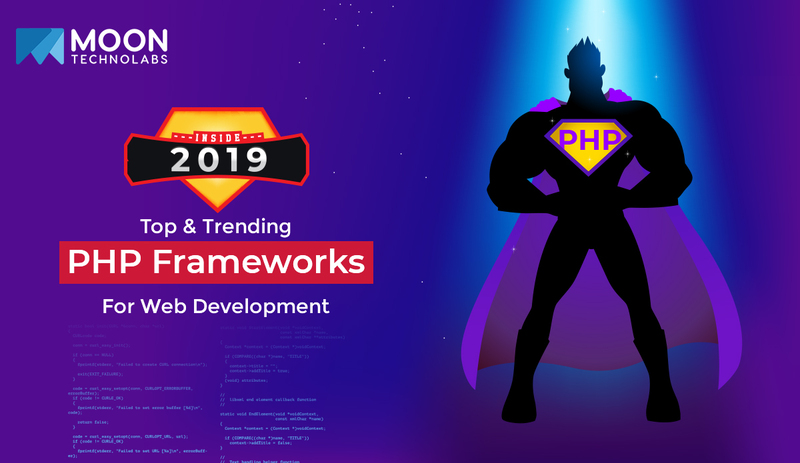 Let’s dig deep into the 2019 latest PHP trends and its frameworks. If your project requires solid and complex backend requirements, then Laravel is suitable and simple to install with the help from Homestead and all-in-one vagrant box. Laravel comprises of full of features to customize complex apps based on the following aspects such as easy data migration, MVC architecture support, security, routing, view template engine, authentication, etc. It matches the expectation set by today’s web application in terms of being responsive, accurate, quick and reliable. Laravel is first of its kind to present routing in a non-concrete manner. Laravel helps with the automatic code management, query management without interfering with the front-end. Laravel promotes to use NoSQL structures such as MongoDB & Redis. Originally launched in 2005, Symfony has gained momentum and has been rated as a secure and mature platform for developing large-scale enterprise projects. It has been in the trend for a while now due to its comprehensive documentation, stability, reliability, high-performance and modular project model. It’s reusable PHP components makes it more eligible for big organizations to continue using it for its stable, consistent nature, database engine independence. Symfony complies in a multifarious way with most web practices and design patterns. Simultaneously, allowing to integrate with other vendor libraries. Symfony and Laravel use the same common and unique features which makes it hard to distinguish between them for better performance. Symfony also integrates seamlessly with other bigger open-source projects like Drupal and eZpublish. CodeIgniter is the most preferred among all the other frameworks by beginners to develop dynamic websites due to its lightweight (2MB in size including documentation) and clear and easy to install. It allows various in-built modules in forming robust and reusable components. Thus, CodeIgniter development services are much preferred. Some of the key features include Form validation, Emails, Unit testing, Community support, Sessions. It helps in creating fully functional and scalable apps. Salient features include MVC architecture, error handling, inbuilt security tools, and easy-to-use documentation. The important thing to know is that it is best suitable for developing a lightweight application but due to irregular releases, it is not advisable to use this framework to build an app that requires high-level security. Phalcon has been highly trending and ruled the choices among developers in 2018 and is predicted to boom in the upcoming years. It was introduced in 2012 and written in C & C++. Phalcon is rigged with C-extension which makes is work at amazing speed while relieves you of learning the C programming language. Phalcon is easy to install and due to fewer resources, it is quick and fast in the processing of HTML requests. Its key features include ORM, caching, increased execution speed, asset management, autoloading components, MVC architecture, and security. Phalcon’s performance enhances due to its efficient memory utilization. However, it doesn’t hold true to its value for application when it comes to a high level of security. It supports International language, Template engines, Form builders and can be used to build both performance RESTAPIs and other web apps. With an only web server and the copy of framework, CakePHP can be installed and put to use. It comes with absolute security features package that includes SQL injection prevention, input validation, cross-site request forgery (CSRF) protection, and cross-site scripting (XSS) protection. With CakePHP, you can bypass the complexities that come with XML or YAML config files. Few class features include modern framework, quick build, proper class inheritance, validation, security, etc. It is amazingly beneficial for large, complex and enterprise-level projects. Some important features include MVC components, simple cloud API, data encryption and session management. Easily integrable with external libraries, support from a large community base with adept documentation makes it more preferable PHP framework. Yii is a universal web programming framework and extensively used to develop modern web applications. It is fast, simple and evolutionary though can’t be suggested for the beginners. A component-based PHP framework which makes it lightweight and high in performance. Easy installations and high-end security features make it a convenient framework to develop e-commerce, CMS, portals, etc. Yii can accommodate the database data in terms of object and hence proves to be an absolute time-saver for developers by avoiding to write repetitive SQL statements. Developers using Yii framework can get help from the forums while the experts are continually contributing to its development for the benefit of the community. Yii is extremely useful as it allows developers to customize every set of core’s code. Fuel PHP is a modular and extensive framework supporting its own extended version of MVC design pattern, i.e, HMVC (Hierarchical Model View Controller). HMVC saves time and utilizes less memory by eliminating the need to duplicate content on multiple pages. Released in 2011 it supports end-to-end web solutions irrespective of the need of innovations required by the project. Features which makes it a trending framework are authentication framework, caching system, extensive template parsing, URL routing system, HMVC implementation, security enhancements and protection and RESTful implementation. Drawn inspiration from Ruby-Sinatra, Slim is a micro-framework that enables developers to build effective web apps and APIs. With simple documentation and easy to understand, Slim PHP framework developers can create RESTful APIs and web services. Main features are add-on capabilities, client-side HTTP caching, URL routing & handling, many built-in standards, sessions, and cookie encryption, etc. Slim is best used for small web applications project wherein there isn’t a need of a full-stack PHP framework. Implementing HMVC (Hierarchical Model View Controller) similar to FuelPHP, this one is mainly a modular, lightweight and high performing framework used for read-only websites. Because of less compilation time and easy to understand, it is the best popular & trending PHP framework to develop social networking websites, customized web app solutions and web app development services. Tools such as cryptography, security, and support for MongoDB are a handy part of a set of features. It also features HMVC architecture and standardized ORM (Object-relational mapping). Other salient objectives of this framework include caching, authentication, security, authorization capabilities, and input validation. 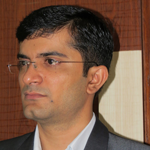 PHPixie has a limited set of modules and comparatively new hence has a smaller community-based. Another micro-framework with cutting-edge tools and features for developing web apps with ease is Fat-Free. One of the new one to join the team of trending PHP frameworks, Fat-Free has its own advantages for any web application project. Fat-Free comes with powerful features such as data validation, CSS compression, unit testing, and image processing, etc. It enhances the development process due to its supportive of both SQL and NoSQL database. Aura is primarily centered around its own library packages. In other words, Aura is an independent library package which depends on none of the other packages. It presents the collection of high-quality, well-tested, standard-compliant packages that can further be used in any codebase. It saves the time of developers and enhances project deliverance as it can be used as per the necessity of the project. The libraries are decoupled and can be used for developing basic apps. Aura library packages have no dependencies. The PHP frameworks are designed to help the developer build complex websites with much ease. We hope that the above-provided information was beneficial to you. We can help you with your website or web application project based on PHP frameworks. You can directly contact us to get a free quote or can mention details below.